For the 114th Congress, SBE Council has scored Members of the U.S. Senate on 12 votes, and Members of the U.S. House of Representatives on 22 votes. The report shows how Members of Congress voted on KEY VOTES, which Members voted 100 percent for small business, and how each state’s congressional delegation matches up among the 50 states. Members scoring 80 percent or higher distinguish themselves as a Friend of Small Business & Entrepreneurs, and 90 percent or higher as a Champion of Small Business & Entrepreneurs. 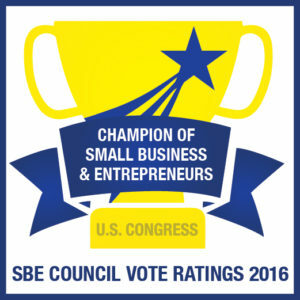 Specific votes relate to a variety of issues important to small businesses and entrepreneurs including tax relief and reform, affordable health coverage, intellectual property (IP) protection, access to capital, regulatory relief and other issues that impact the health and competitiveness of small businesses and entrepreneurship in America. Finally, based on individual scores for all Members of the House and Senate in each state, the most pro-small business congressional delegations were from Idaho and Kansas – both scoring 100 percent – followed by Oklahoma at 99 percent; Alaska, Arkansas, South Dakota, Utah and Wyoming scoring 97 percent; Nebraska at 94 percent; and Alabama, Iowa and Louisiana at 93 percent. 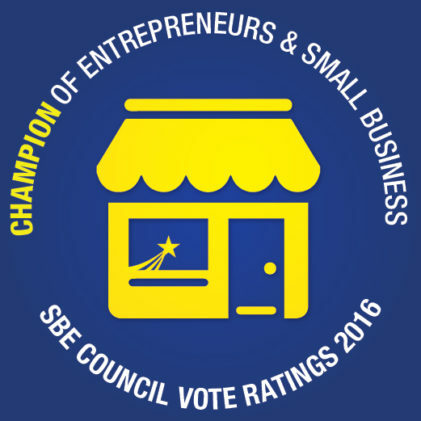 Check out SBE Council’s “Congressional Scorecard for the 114th Congress: How Members of Congress Voted on Key Small Business Issues” to see how your U.S. Senators and U.S. House member weighed in on issues important to small business.